Included in the Price: 2 adults, 4 children from 0 to 17 years old and 1 vehicle. Minimum Stay: We can at any time require 2 or 3 nights minimum on weekends. Non-refundable Deposit: An amount equal to 25% of the cost of the stay or representing at least one night is payable at the time of booking. The balance is payable on arrival. Group Booking: For groups of 5 or more locations, the balance to be paid is due no later than 14 days before the arrival date. Cancellation: The reservation deposit (as well as any pre-paid amount in the case of a group booking) is non-refundable under no circumstances. However, you can move your stay according to the availability of our sites with a notice of at least 14 days prior to arrival date. Check-in Time is from 2:00 pm to 9:00 pm. If you plan to arrive after 9:00 pm, you must notify us. If not, your reservation could be canceled without prior notice. Sales Tax: All applicable taxes are in addition to the prices indicated above. Payment Methods: We accept Visa, MasterCard, and Interac for holiday campers only. No checks are accepted. Long Stay Discount: Get 10% off the regular rate when you book a stay of 7 nights or more. Deferred Departure Time: Departure at 4:00 pm instead of 1:00 pm on Sundays and Monday Holidays. Sunday*** to Friday: Stay 3 consecutive nights for the price of 2 nights or 5 nights for the price of 3 nights. Full Week: Stay 7 consecutive nights for the price of 5 nights. April Week-ends: Get 30% off the regular price. *** with the exception of Sundays May 19, September 1 and October 6. PLEASE use Products WITHOUT PHOSPHATE (Soap, detergent, shampoo, etc.) Keep the lake healthy! 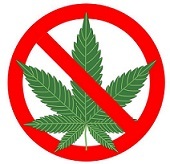 It is completely forbidden to use cannabis, smoke tobacco, take drugs, grow marijuana or other drugs within 5 meters of the campsite. 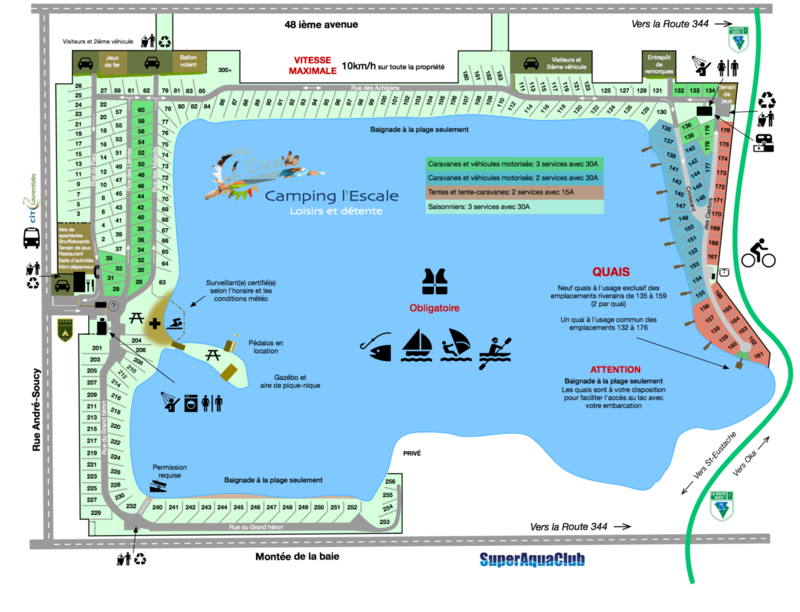 Visitors must register and pay their visitor's fees at the Reception Desk upon arrival at the campsite. Failing such registration, the host camper will be responsible for paying any amount due. No visitor is allowed to register after 9:00pm. All visitors must leave the property before the curfew of 11:00pm. Otherwise, he must inform the Reception Desk during the Office Hours and pay the related fees. The prices shown include the applicable sales taxes. Rental agreement (Protocol de location): Camping l'Escale adopts the best business practices of the industry. The seasonal camper adheres to a standard Protocol de location as established by Camping Québec. Specific rules and regulations for Camping L'Escale are stipulated in a separate document attached to the rental agreement. The Protocol de location is only available in French. Included in the base price: 2 adults and 4 children (0-17 years), your electricity consumption (no meter), parking space for one vehicle, space for a shed and winter storage on your site. Reservation Deposit: $600 non-refundable under any consideration. Method of payment: Interac, checks or cash only (no credit cards). Applicable sales tax: QST and GST in addition to the indicated prices. The information contained herein is brief and is for informational purposes only. Only the information provided at the Office Desk is valid.